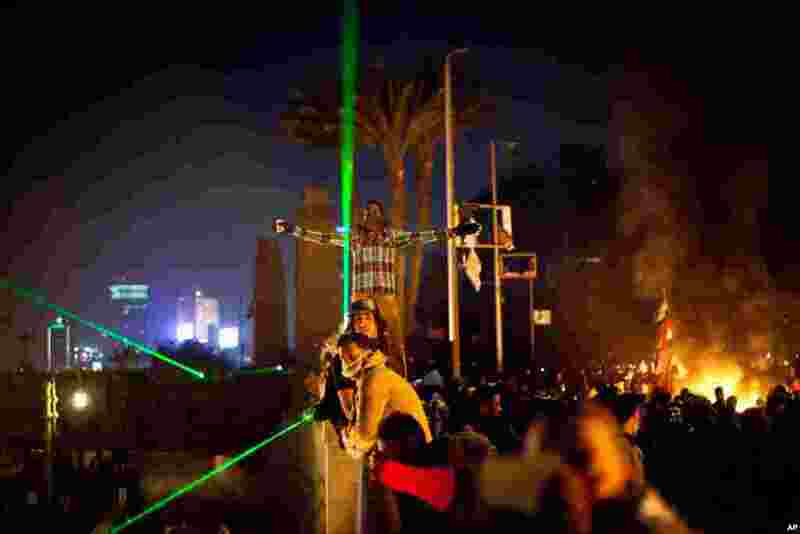 1 Protesters clash with security forces near Tahrir Square in Cairo, Egypt, January 27, 2013. 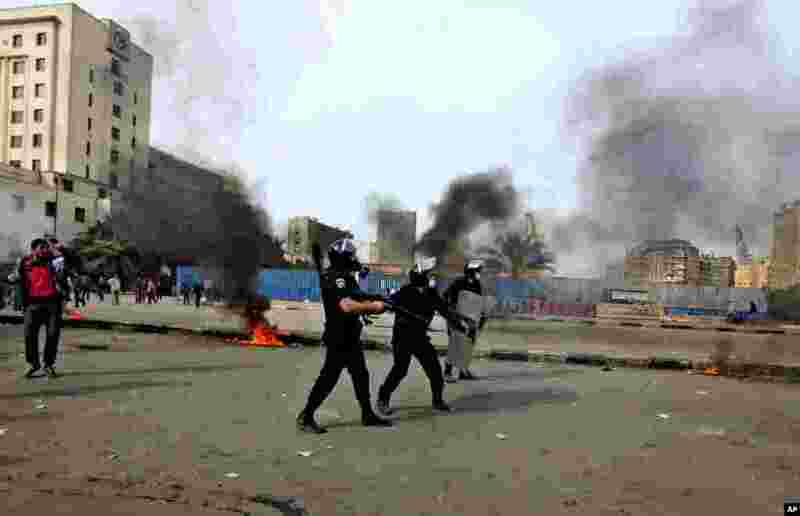 2 Egyptian riot police clash with protesters, not seen, near Tahrir Square, Cairo, Egypt, January 27, 2013. 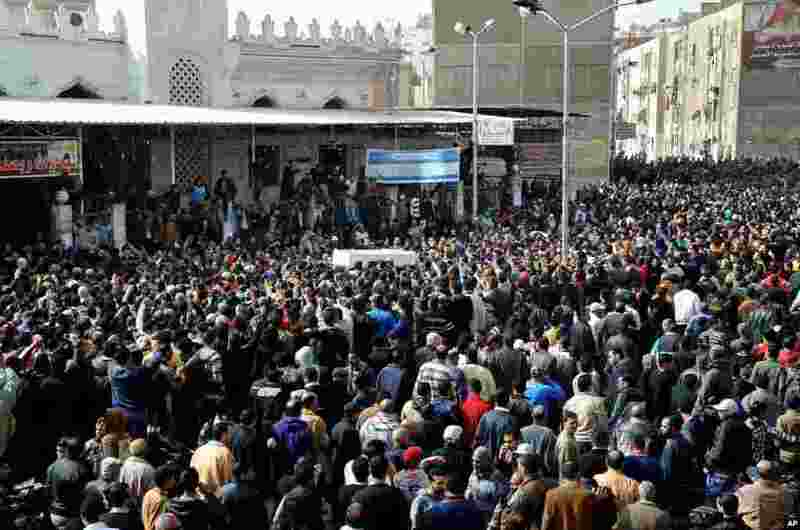 3 Egyptians carry the coffin of a man killed protests a day earlier in Port Said, Egypt, January 27, 2013. 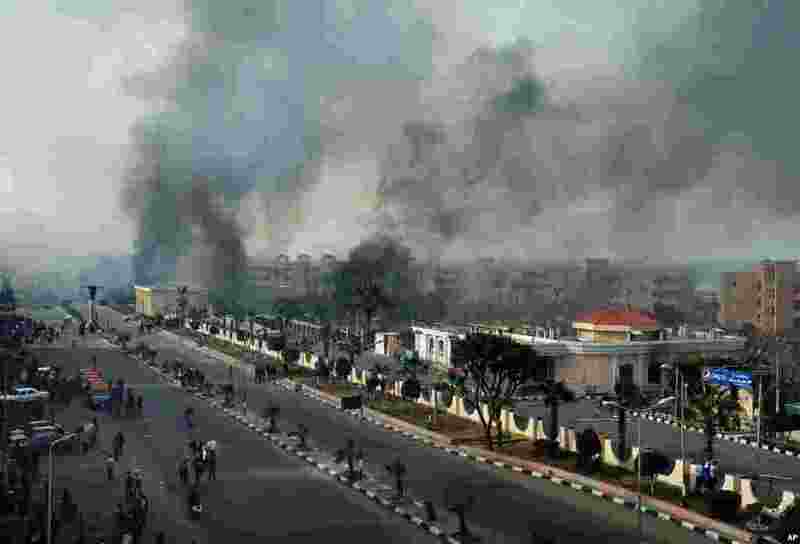 4 Smoke rises after Egyptian protesters clash with police, unseen, in Port Said, Egypt, January 27, 2013.